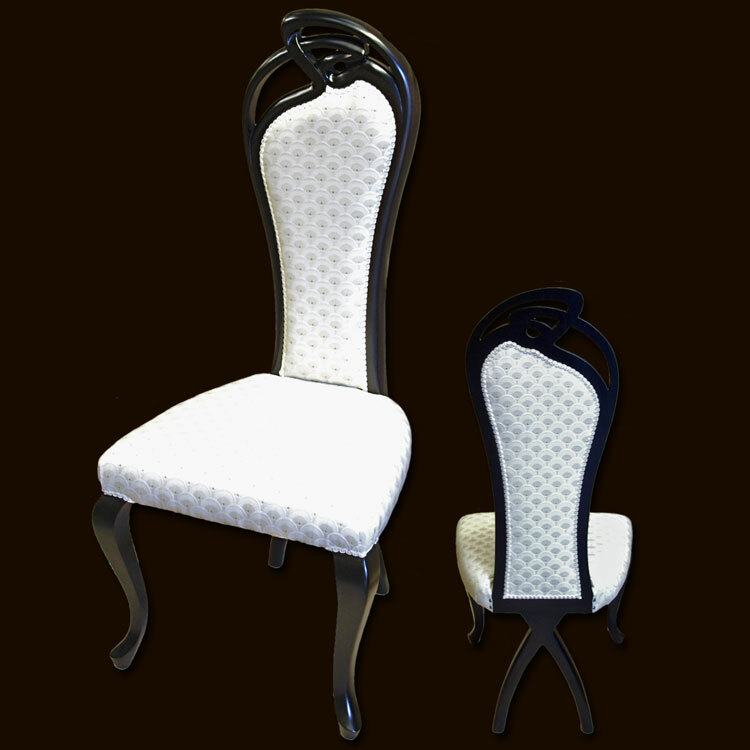 Ref: MD17 Incredibly elegant art deco style dining chairs with superb detail to the back rest and rear legs. How would you like the wood finished? Welcome to our most prestigious range. Originally designed by our MD for his own home, this unique range uses rare and incredibly beautiful woods, exhibiting both striking contrast and an unusual classic & contemporary look. These highly decorative woods are usually reserved for small high class pieces such as pianos and guitars. This range is self-expanding as we work with customers on new ideas - If you like this style and would like something that is not shown here, please supply us with your requirements and we will be happy to work through the possibilities and costs with you. This range is finished as natural with sealers and laquers and has no stains added to show the natural beauty of the exotic woods used. While all burr woods have their own beauty they all vary a great deal and therefore will not be exactly as shown. Feel free to experiment with the various exotic wood combinations to design your own unique piece of furniture.